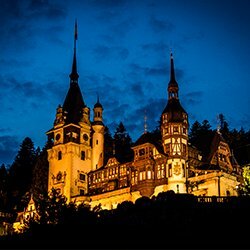 Our suggestion is to begin this active family tour of Romania by landing in Transylvania region, in Cluj-Napoca city, but we can easily change it if you have other preference. You will pick up the rented car from the airport and drive to the northern region of Maramures. Accommodation at a traditional rural guesthouse in Maramures. 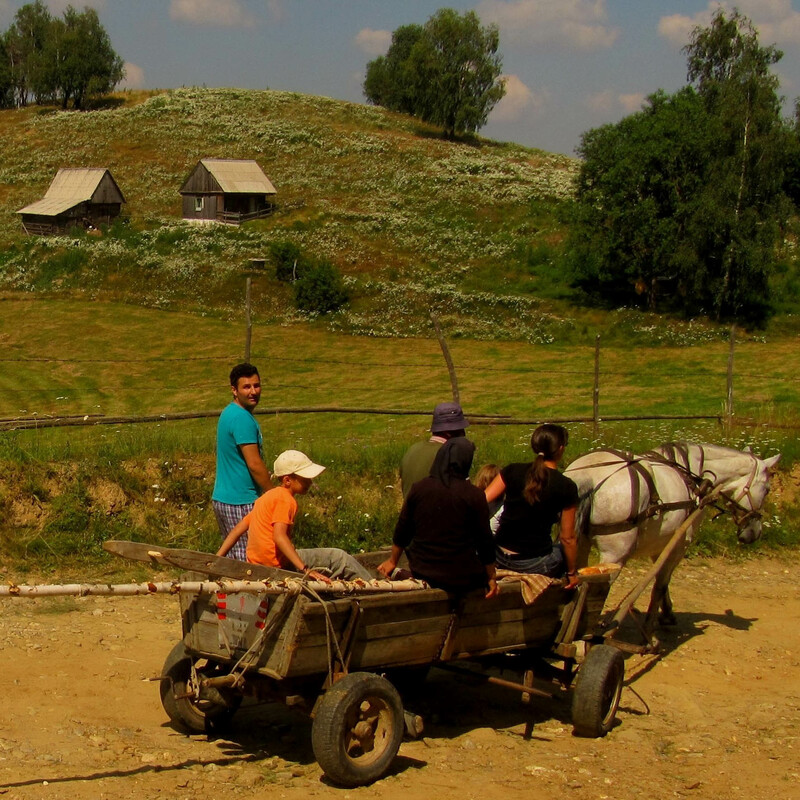 Maramures is said to be one of the last truly rural regions of Europe. Here subsistence farming prevails whereby people live of the land. 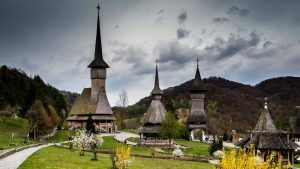 Maramures is also said to be the land of wood as many of the houses used to be built out of wood, same for the gates and even the churches, 8 of them being UNESCO World Heritage sites. 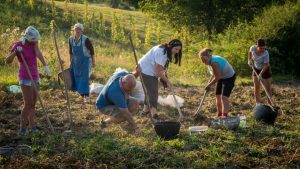 You will walk on a trail between villages for 5-6 hours which will allow you to discover the region, see the traditional houses and churches and the way people live and work the land. You can start or finish the day with a visit to a pool with salty water in a nearby village where you can bathe and swim. Today you will go for a hike to the nearby mountains. You will start at around 500m and can go up to 1400m. The roundtrip hike to the peak and back to the village takes around 7h but if you feel that is too much you can return before reaching the peak. 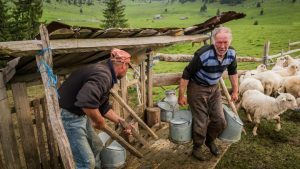 You will travel from Maramures to Bucovina region through a road first going through villages and then up on the mountain. As you go through the villages you can stop by some of the sights, the Barsana wooden monastic complex is very beautiful and worth stopping and having a look. Then as you reach the mountains you can stop in Borsa and go for a 2h30-3h roundtrip hike to a 100m tall waterfall. If it is warm enough you can have a refreshing shower before going back to the car. Accommodation at a traditional rural guesthouse in Bucovina region. In a small village in Bucovina region you will stay at the guesthouse of a family who also has a small farm, they have animals like cows, pigs, chicken and also a garden. So on the fifth day of your family your in Romania you can help your hosts with their daily routine at the farm. Depending on the season you might get involved in mowing hay with a scythe and piling haystacks or in planting, caring and collecting vegetables. Bucovina is also a mountainous region so you can choose to go for a hike in the mountains. The region is famous for its painted monasteries, 8 of them are UNESCO World Heritage sites so you can choose to visit at least one of them. The most beautiful and accessible are Voronet monastery, famous for its unique and secret blue painting, Moldovita monastery or the one in Sucevita, the best preserved of all the monasteries of Bucovina. If you would like to have other activities instead of visiting the monasteries or hiking you can have a 1h drive to a swimming pool. Nearby there is also an adventure park where the children can do climbing. Another option is to have a ride through the countryside with an old narrow-gauge train passing by villages, meadows, forests and mountains. The round-trip will take around 3 hours. You will leave Bucovina region behind and head towards Transylvania. You will cross again the mountains, on a different route and you will pass by the beautiful Bicaz gorge and Lacu Rosu lake. At the lake you can have a stop, rent a boat and do some rowing. Then you will arrive at Sovata, a resort appreciated for its natural spring waters and home to the largest heliothermic lake in the world. In this lake, in the summer the temperature of the water at the surface is 15-20 degrees while at 1.5 m depth it reaches 40 degrees Celsius so it offers a very interesting experience. Being half way through your tour you will stay 2 nights in this region so you can bathe and rest. Accommodation at a hotel in Sovata. In the nearby town of Praid there is a huge underground salt mine and also and outdoor salty lake. You can visit the salt mine where you can spend some time as there is also a small adventure park inside. Then you can head to either to the salty or heliothermic lake or both. In the afternoon you will have an introduction workshop into pottery, you will get your hands dirty and try to make your own bowl or vase. 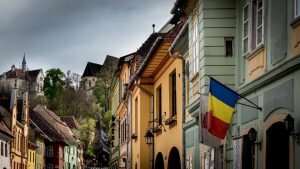 Next on the itinerary of your Family Tour in Romania is Sighisoara, a beautiful medieval city and one of the best-preserved in Europe. Founded by Transylvanian Saxons during the 12th century, it still has its fortification, old towers and centuries old buildings. 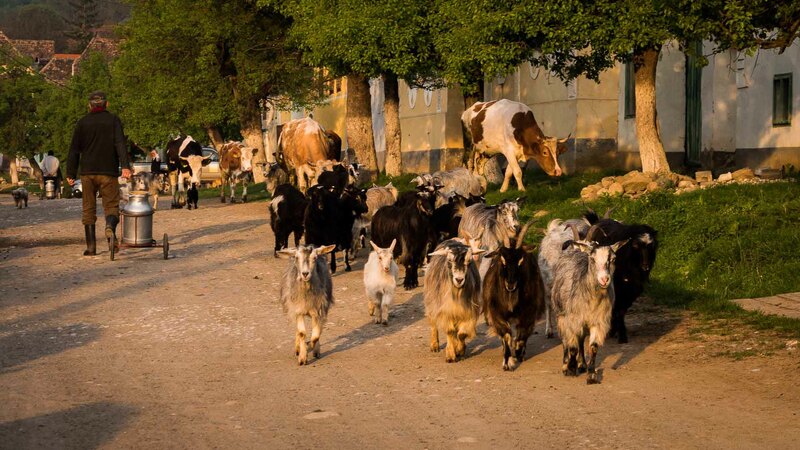 In the evening you will arrive in a village near the mountains where there is a guesthouse and a horse stable. Accommodation at a guesthouse with a horse stable near the mountains. You will go on a 2 days horse-riding trip and for the night you will camp somewhere in nature, returning the second day to the guesthouse. Depending on your fitness level and horse-riding experience, you can leave in the morning and ride 2 full days or if you don’t want to ride for so long, you can leave after lunch and then have 2 half days for riding. Horse riding time: 2 to 5-6 hours depending on your preference. You will return from the horse riding and camping trip. In the afternoon you can choose to go to a bear hide to see bears in the wild as they come to eat the food placed especially for them in certain places. It’s time for one of the highlights of your tour in Romania. You will drive on the spectacular Transfagarasan road which goes up to 2100m altitude but first you can pass by a swimming pool in the town of Fagaras for a couple of hours. You can choose to drive to a certain point, leave the car and then have a 4h hike to the highest point where the road goes. There is also a lake and on the way you will pass by a waterfall. The way back it will take 3 hours or less. Or you can drive all the way and once at the lake you can do a 3 hours roundtrip hike to a 2500m peak. Accommodation at a rural guesthouse near Sibiu. You will spend another day in the countryside. You will learn more about the rural life in Romania by visiting the local blacksmith and see what he is working that day; usually he makes horseshoes and puts them on horses. Then you will visit the local brick-maker where you will learn how bricks are made out of clay, sand and water. It is time to get your hands dirty once again as you will get to make some bricks yourselves. In the afternoon you will go to a sheepfold and see how shepherds live, how they milk the sheep and how they make cheese; the visit to the sheepfold will also involve at least a 1 hour hike (it can easily be more). To better understand what you are seeing a guide will join you on this day. You will travel to Bucharest where you will have the entire afternoon to explore this lively city. You can also choose to have some fun going to an aqua park or some escape games. At the end of the day you will drop the rented car at the hotel. This is the last day of your Family Tour in Romania. You will be transferred to the airport where you will take the flight back home. The drive time is calculated without stops. Trip planning. This will include a personalized self-drive booklet with vouchers for accommodation, detailed information about the places you are visiting, directions, useful contacts and recommended things to see and do along the way. This is like a personalized Lonely Planet guidebook. 2 days guided horse-riding roundtrip with 2 to 5-6h riding a day, depending on your preferences. You will spend the night in a tent (tent and sleeping bags are provided). The prices are calculated for a self-drive private tour for groups of the sizes mentioned below. If you are interested in a guided tour, please let us know. For a number of people other than 4, the price will be different.